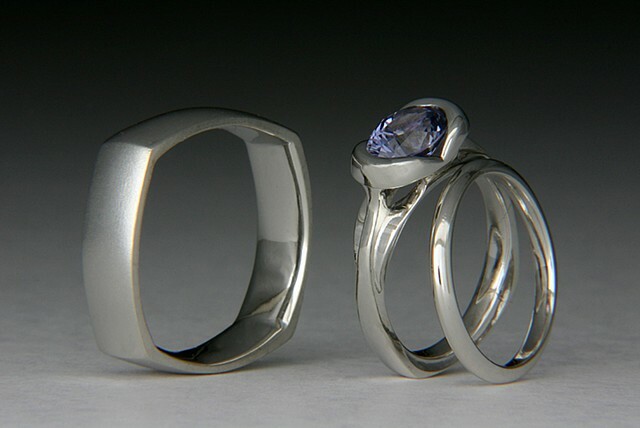 A custom trio of wedding and engagement rings made of platinum. The engagement ring has a color change custom cut sapphire. Please contact me if you are interested in creating a custom set.